Ever wonder what we are up to on a Saturday? amazing. your obedience to the Father's call is amazing. praying for you and your ministry! God bless you--ha! He already has though, hasn't He? so what i really mean is: may God CONTINUE to bless you and your family and Amazima, Katie. 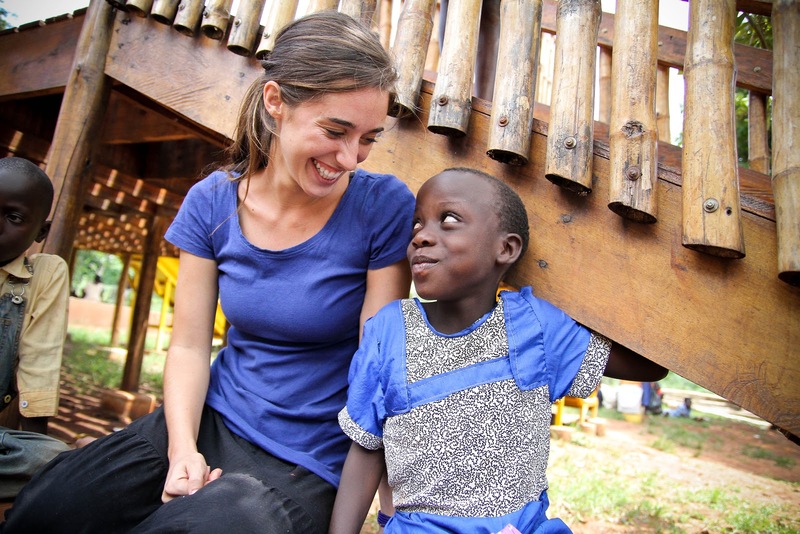 I love what you are doing in Uganda. I am a 12 year old missionary kid and I dream to serve the Lord in India. Thank you for your book. It has been a great help to me. Thank you for everything!!! I love what you are doing in Uganda and that is what I dream to do. I am a 12 year old missionary kid and I want to serve the Lord in India when I grow up. Thanks heaps for your book, it has taught me a lot. Hey Katie, My name is Courtni Im 14 yrs old And was a christian book store and found your book it looked so inspiring to me cause I have always told myself im going to go to a christian bible college to be a missionary, So when i found your book i was excited im half way through the book..Its made me more confident and more desirable to help people in Africa..Maybe I will meet you in Uganda some day doing missionary. GOd Bless You!!!! i love you! I am reading your book and am so inspired and amazed by your life's work. You are a truly blessed person and your strength, compassion, bravery, and honesty are such a miracle in a world where selfishness and ignorance are rampant. You are so inspiring and will truly always lead a blessed life. Thank you for all that you do for the world! Currently reading your book. Crying with each page as God reveals more and more to me about life and the future (and I'm only on page 11!). Thank you for being open to His will and for sharing it with us. I have been someone who has been trying to figure out religion in my life for years. In high school I was involved with catholic things, but events that happened in college turned me away from God and led me to try and find my own remedies for my problems. Unsurprisingly they left me feeling like a failure and even more insecure and self-loathing and out of control than ever. I began reading books like The Case for Christ, the Case for a Creator and other books as the scientific aspects of religion have always interested me. I slowly began to put pieces together. I had the "evidence" I thought I wanted, but something was still missing. Last night I started your book at 7PM, and stayed up until 1AM reading it. It was the piece I needed, the map showing me how to connect all the dots. I cried and laughed and cried some more while reading your book. I was able to see for so long how I have been pushing away Christ's love and plan for me, and how I have been failing myself by trying to control everything. Seeing the true love in your book and how you magnified that through Christ was truly an inspiration. You wrote that your goal was to help people find Christ, and I want to tell you from the bottom of my heart that your story changed my life. I always felt fraudulent and like I was trying too hard. But your book and your focus on love changed everything for me, and truly showed me the love of God for ALL of His children and how perfect His plan is. I have often felt alone because if someone asked me to define success my answer would be "showing love to everyone I meet," and the few times people have asked me that they look at me like I belong in a looney bin for that. Your story not only brought me hope that this is a powerful and important thing, but your story showed me how much I need Christ to do that. From the bottom of my heart, I thank you. I thank Christ for working through you to completely change my life. Your book gave me my "aha" moment that I needed, and I can't explain to you how long I have wanted to his moment and how many times I thought I would never have it. Thank you so much Katie, I have never even met you but as a 22 year old to a 22 year old, thank you for helping me begin my new life. You and your beautiful children are in my prayers, and I also pray that one day the Lord will help me to be a mother that is as loving as compassionate as you are. love the joy radiating in these photos! I love how the Lord is speaking to people through your book and your life, Katie. His love is so amazing. I love the Isaiah 54 quotation. So beautiful, this passage is for me along with you. I especially am touched by the story of Emilia Sotolongo. Your adventure is just beginning. His love is without end, you will find as you earnestly seek Him. May the Lord bless you, Emilia, with abundant faith and hope, peace and joy! I read your book to use for a college assignment and I am so glad I had. Your story was an inspiration to me and has made me want to do mission work as well. Hopefully I can have an impact on the world just as you did. May God keep blessing you. i wish i could say "I'm On My WAY!!!". :) it's a dream of mine. Oh my God Katie! I have been praying for you for over 5-months! I was locked up in Jail and read your story and was praying for you every day and all your children. Now that the Lord let me out of Jail, I have found your site. I want to come to Africa and bring a donation personally to you... I ask the Lord to bless me so I can come and help.. thank God, I'm able to get out of Jail and find you... Praise the Lord... God is good all the Time! I pray for guidance and protection over you and your children all the time. Thank you for you have been a great inspiration for me! One day God willing i will be next door in Kenya doing medical missions. Hope to meet you one day! I read your book in like 5 hours in barnes n noble one day. Couldn't put it down. Don't worry. I am getting ready to buy it to support you! Keep up the amazing work! Your words really calm me, when I am stressed or anxious I read your book over and over again. I wish I could say I know you but I have only met you once. You are truly my insperation. Thank you, Madison. your blog such an inspiration! 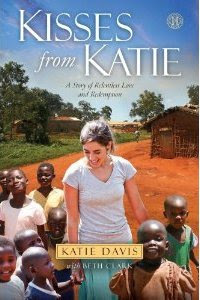 thank you for helping people in uganda ..
when I read your book the kisses from katie I realize more so thank you for helping poor people like me ! Godbless.